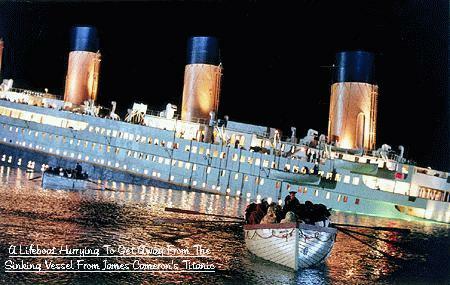 Arron's Titanic Page © The ONLINE TITANIC RESOURCE since 1997! Arron's Titanic Page © The ONLINE TITANIC RESOURCE since 1997! You should see a table of contents on the left side, if not your browser doesn't support frames. 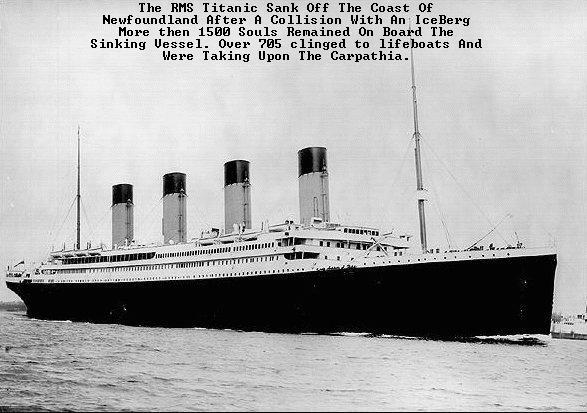 Welcome To My Titanic Page This Page Is Going To Focus On The Grandest Ship Ever Built In History. The RMSTitanic Which Sank On The Night Of April 14th 1912, I've Been Really Hooked On The Titanic Ever Since I First Heard It's Story When I Was A Little Boy Around 7 Or 8 And Now Im 15 I've Read Books,And Books,On It. And Still Can't Get Enough Of It. And You Know What's Really Cool I Live In Dalhousie,New Brunswick...The Maritimes And I Live Close Well Not Really But Not far From Where The Titanic Sank Pretty Neat Huh?.. This Page Will Include Titanic Pictures Of The Differnet Luxurious Rooms And Other Acomidations Aboard The Ship And Eventually This Page Will Grow Further Beyond What I Hope Of It Thanks For Visitng If You Want Any Info On The RMSTitanic Or It's Sister Ship's The Olympic And The Britannic Email Me At TheTitanic1912@hotmail.com Thanks For Visiting Enjoy Your Stay! Please Sign My Guestbook So That I Know You Were Here. This Above Picture Is Supposed To Move Sometimes It Don't Though.